In the opening song, the disparate characters — the Baker, the Baker’s Wife, Cinderella, Little Red Ridinghood, Jack — sing overlapplingly of their different reasons for venturing into the woods. It’s a potpourri of fervent wishes: Cinderella wishes to go to the festival, to experience the adulation of a real live prince, Little Red Ridinghood simply wants to make it safely to grandmother’s house, the Baker and his wife long for a child and seek to break the witch’s spell of barrenness by collecting odd items in the forest, Jack needs money and is off to sell his cow, Milky White. But when Cinderella wins the affection of her prince, she repeatedly runs away, evading him, leaving her shoe behind. She finds their interactions mildly disappointing, anti-climactic. We are reminded that longing is a persistent fact of life, no matter how many of our wishes are fulfilled. Sometimes life takes us by surprise, shifting our allegiances or our perspective in the subtlest of ways, the smallest of moments. Emily Blunt’s character, the Baker’s Wife, is in the woods to find hair, gold as corn, a cow, white as snow, a shoe of glass, and a red coat — when assembled, these odds and ends will break the spell that have made her barren. She comes across as a slightly harried, grounded, loyal, ordinary woman. But in the midst of her search, she meets a prince in the forest, and he seduces her. Suddenly she kisses him, taken aback by the swiftness with which she is swept off her feet. Spoiler alert — a few moments later, we find out that she has been trampled by the giant. This magical moment was one of her last. It’s dramatic, the idea that certain people or places can displace us, putting us in touch with feelings and desires we never knew we had, utterly confusing and disorienting us in the midst of pursuing what we think we want. Into The Woods is most centrally about desire, about the lengths humans will go to satisfy their deepest longings — for love, for children, for adventure or novelty. What a rich metaphor the woods make. They embody the thorniness, the chaos, the unexpected twists and turns of any long-lived pursuit. 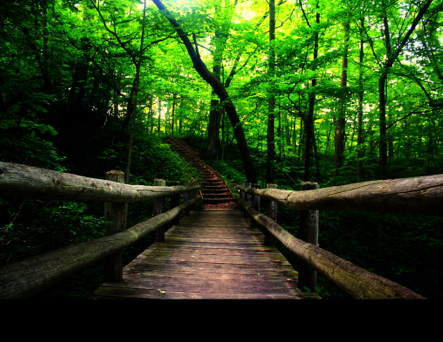 Every life involves a journey through the wild and unknown, a venture into the woods. Posted in Movie Reviews and tagged art, Cinderella, fairytales, Into the Woods, Little Red Ridinghood, mothers and daughters, movies, musings, nature, Stephen Sondheim, theatre. Bookmark the permalink.